God is at work in us for His good pleasure. 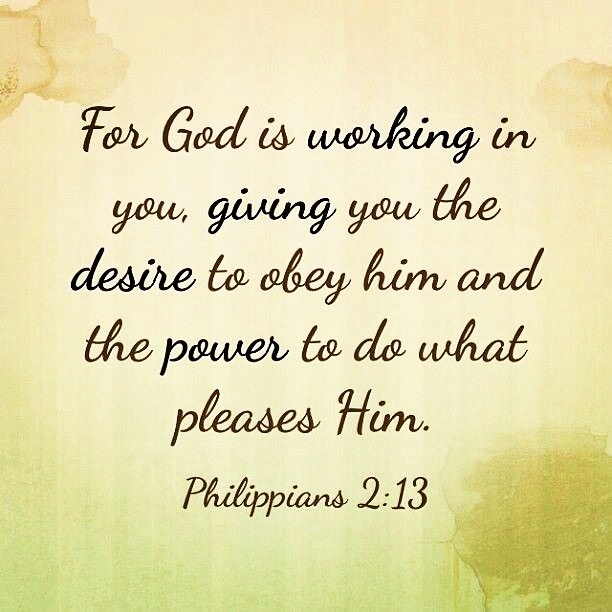 Philippians 2:13 says, that God is at work in us both to will and do His good pleasure. It is good to know that we are not left alone in this daily walk with Christ. We are being conformed into God's image......He is working in us....How awesome this is to me! God is such a good God. He is daily molding us; He is daily renewing us;He is daily working in us to be more like Him. Selah.